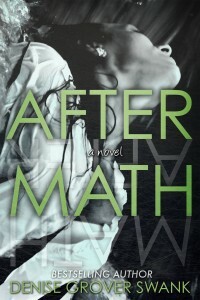 I’ve been hard at work getting my new adult book, AFTER MATH, ready for it’s mid-March release! My hoped for date of March 12 is looking good! AFTER MATH is different than my other books. It definitely falls into the true “romance” genre. Anyone who’s read anything of mine shouldn’t really be surprised since I have some type of romance in everything I write. What might surprise you is the sexual heat level of this book. Okay, it’s hot for me, and I had a few early readers who were pleasantly surprised. (I’m just warming you all up for THE CURSE KEEPERS, my new urban fantasy that 47North will release in late fall 2013. One of my early readers for TCK called it “classy hot.”) That being said, many “hot” romance authors would laugh at my description. My personal style tends to run toward hot without body parts named. Fifty shades of Grey it’s not. I’m really excited about AFTER MATH, and I confess, a little bit nervous. I hope you all like it as much as I do. To celebrate , look for some exciting giveaways the week of AFTER MATH’s release! I’m posting the first three chapters below so you can see what all my fuss is about. After you read it, I’d love to know what you think! Aaahhh…..Denise I love, I love you new book. What I like about your books is that they are interesting to read from the very first page, and it just keeps going until the end. I can hardly wait till mid March. Thank you for another fantastic book. Can Not Wait To Finish! Wonderful!!! I am hooked! I can’t wait for the rest of the book. The first 3 chapters sucked me in. I feel like I am with them. I love the way your books read. March 12 seems so far away. Great job.